Tell us a bit about how Little Design Horse and Future Shelter came about? We arrived in Perth in November 2005 from the UK. Armed with nothing more than an printer and an old PC we started designing a collection of textile designs while working from home. Adam was a mechanical engineer (he’s the organiser) and I was trained in textile design. We started selling to designers in Sydney and Melbourne and within a few years were flying to San Francisco & doing “Printsource” in New York which is a trade show for selling textile designs. 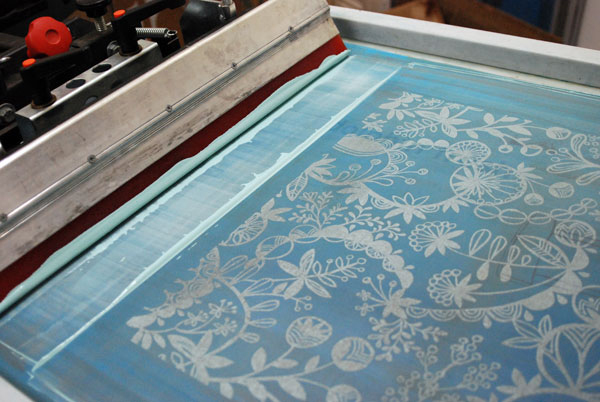 We loved it but always wanted to have our own shop and create our own products so most of our profit went into gradually buying bits of machines, screen printing equipment (we found a screen printing vacuum table at the tip and refurbished it – we use it all the time it’s perfect!). We had found a studio space to work in that happened to have a potential shop space. When we had a baby in 2008 and we decided it was time to move the business over to making our own products. 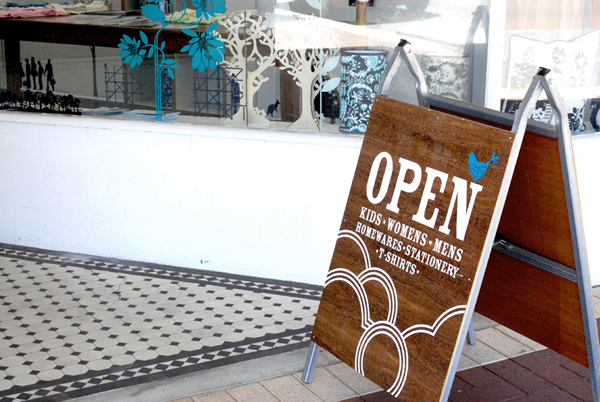 We’ve taken it really slow – mostly telling people by word of mouth and doing local markets. Future Shelter was always going to be a company concerned with the environment and I guess we ask ourselves “what will our future shelter be?” and often our artwork has an environmental theme. We see ourselves like a new type of workshop (like the old blacksmiths) where we not only design and make our products but we have a relationshop with our customers. Setting ourselves up this way has lots of benefits – for example we can redesign products reduce waste, create limited editions and we can always keep the shop looking fresh and interesting by adding new products and variations. What products can we expect to find at Future Shelter? 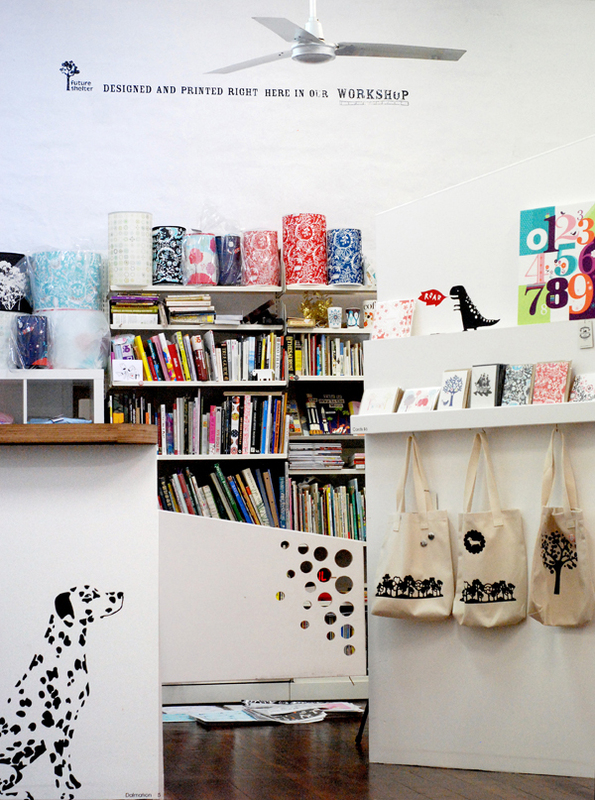 Lampshades, cushions, limited edition prints, wall decals, laser cut mirrors, our ever expanding coaster range, brooches, badge sets, jewellery trees, tots bags, teatowels, Mens Womens and Kids T-shirts screen printed in our workshop… our shop contains anything that we can print or put a pattern onto! We add something new every week and have *lots and lots* of ideas in development! Usually the crazy ideas are the ones people like the most! Being your own boss is always good! We like meeting the customers and surprising them with new things. Part of me really likes rebelling against the big brands and department stores by making locally and offering new designs all the time. I think what Perth has offered us is the chance to grow. 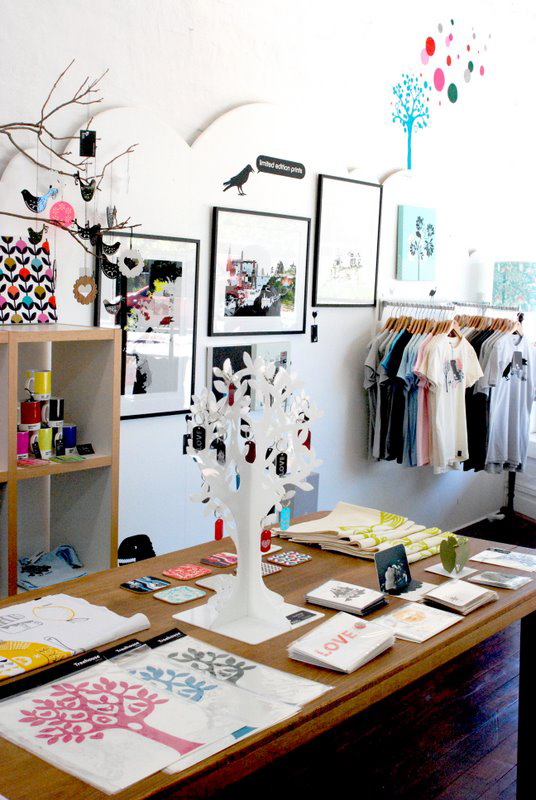 If we were based in a bigger city we may not have been able to afford the studio, workshop and shop so soon. We live nearby so we walk to work and of course love to go to the beach. Perth has lots of hidden gems. It’s all about little steps but always keep moving forward. Success doesn’t come immediately. 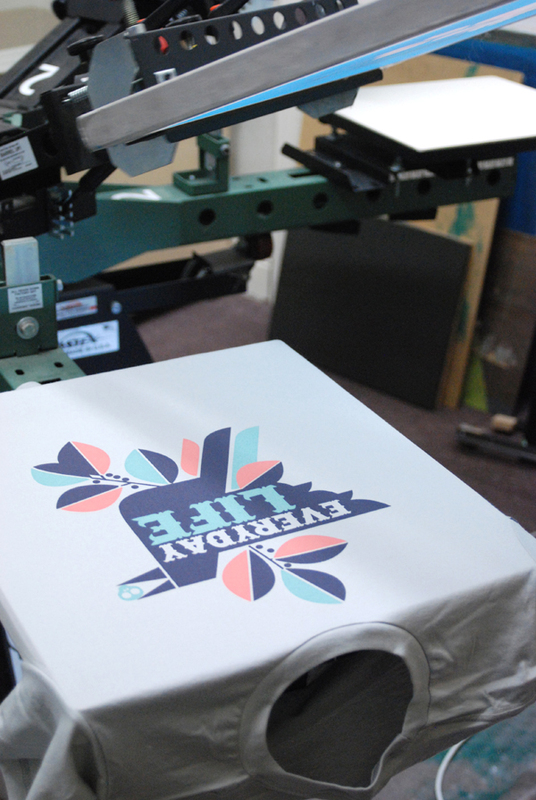 We’ve been collecting machines for 4 years and we practised screen printing in our garage. Sometimes it takes 6 months to develop a product that you can manufacture in larger quantities rather than just 10. Also, the markets are a great place to experiment with new products. Great interview! I love this business – glad to have them in Perth. love it! when will future shelter be selling online? Great after reading about you to find out you are in Perth! 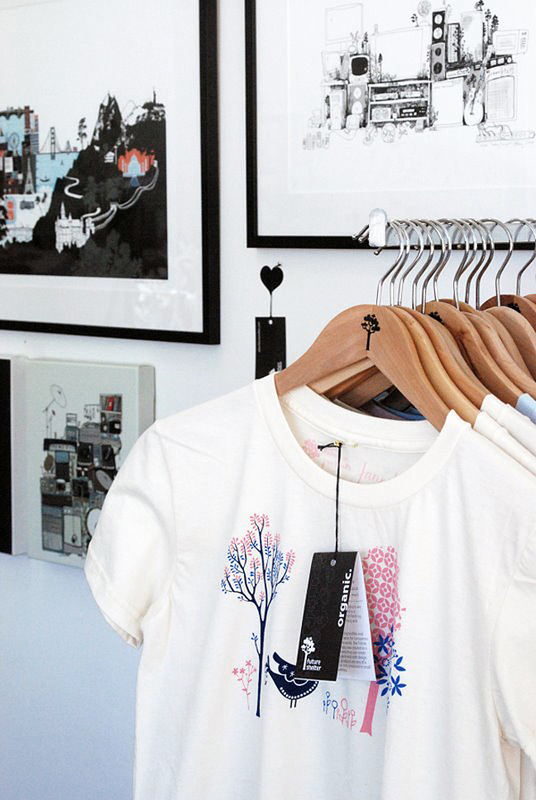 Look forward to popping in soon and getting inspired by all the great designs you carry, esp. 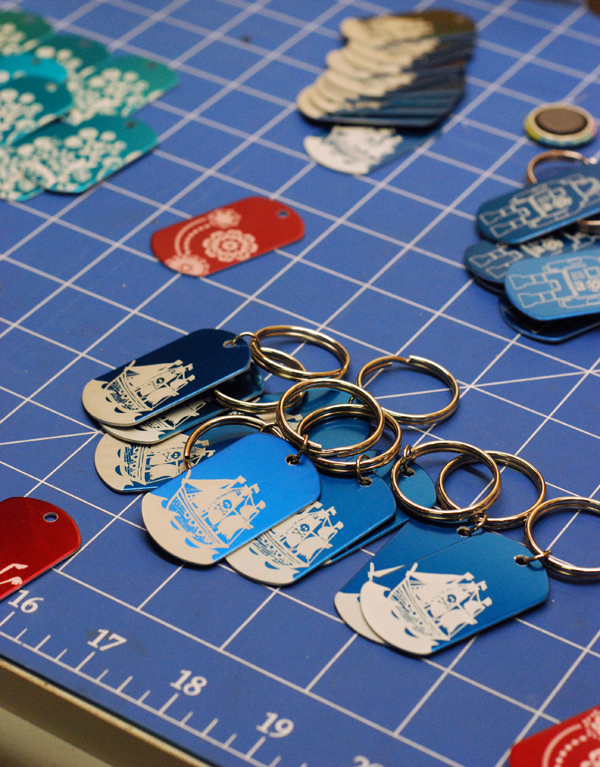 love your ship keyrings!!! !